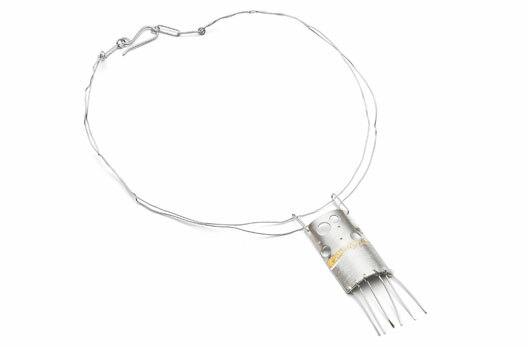 Sophisticated and elegant contemporary Jewellery and Silverware inspired and influenced by the natural beauty of Cornwall’s outstanding coastline. Sandra’s preferred ways of working include the traditional techniques of forming, raising and forging. 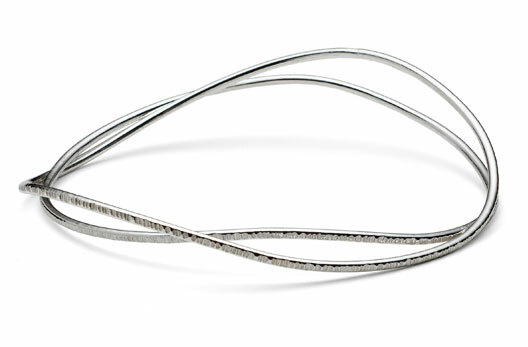 These allow her to produce flowing curved lines, giving each piece an organic fluid quality. 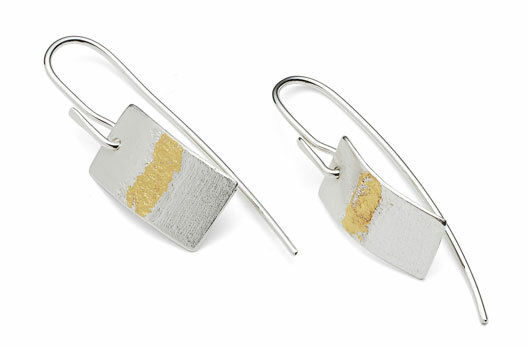 She considers the aesthetics carefully and mainly works with silver, oxidized silver and gold. All chains are handmade, each link is cut and individually soldered. They are then shaped, formed and suspended into fascinating long lengths expressing fluid movement with sculptural linear qualities.